Under Prime Minister Harper, Canada’s Conservative Party dismantled key environmental protections. When the Liberals came to power they promised to strengthen the Environmental Assessment Act, the Navigation Protection Act, the Fisheries Act and to fix the National Energy Board. But, a coalition of national environmental organizations weren’t going to leave all this to chance. They began working together to ensure new versions of these laws bring back strong environmental protections for Canadians. As part of this campaign, Capulet developed a digital, public-facing campaign to put pressure on MPs and Ministers to reform these key pieces of legislation. Ensure each reform was given the attention it deserved with messaging customized for specific MPs and Ministers. Here’s how we did it. We created four unique landing pages, one for each reform, in English and in French. Each page tells a personal story from Canadians impacted by the law’s current shortcomings. A cohesive visual design linked all four pages under the “Now’s our chance to get it right” banner. Then, to make it as easy as possible for Canadians to send a letter to their MP and call key Ministers about air, water and land protections, each page was equipped with click-to-email and click-to-call engagement tools by Vancouver-based New/Mode. Then, the build out began! We cloned version of these sites for 25 different groups across the country. At the height of the campaign, 68 microsites were running “in the wild,” sending emails to MPs and connecting callers with Ministers. Each cloned page functioned independently and so we were able to add a group’s logo, make some content customizations and collect data that went directly to the organization that owned that page. We also prepared a variety of communications assets for participating groups to use including email blasts, social media and photography. This campaign continues as the new laws make their way from Committee to the House and to the Senate. So far, Canadians have emailed over 40,000 letters to MPs, published letters to the editor in 33 publications across Canada and have made hundreds of calls to key Ministers. We think this campaign’s success is the result of taking a complex issue and breaking it down to the bare bones. The simplicity of the sites and their messaging made it easy for Canadians to take action and addressed individual needs of each group participating in the coalition. 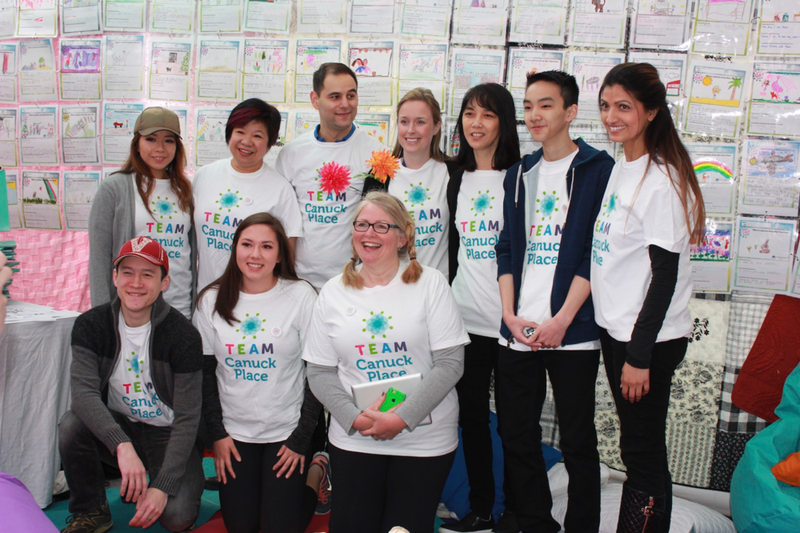 Canuck Place Children’s Hospice provides pediatric palliative care to families across British Columbia. While there’s no question that everyone can see the value in providing support for children living with life threatening illnesses and their families, it’s not always an easy topic to talk about. Canuck Place partnered with Capulet for one of our first Remarkables Labs. With this collaboration, there were two issues that Canuck Place was hoping to tackle: connecting with new, younger donors and clarifying the Canuck Place brand in the community. To reach these goals, we needed to uncover a new approach to connecting with the public that enabled Canuck Place to talk about their work. Through Remarkables Labs, we work with the organization’s in-house team to enable to skills of existing staff and train them through the process of creating a successful creative campaign from start to finish. This serves the double purpose of designing a great new campaign to serve the business goals of the organization, while also training up their staff to create effective campaigns in-house in the future. In collaboration with the staff at Canuck Place, we devised the Best Day Ever Campaign. For this campaign, there was a month long digital campaign where donors could pledge their support for a child in Canuck Place’s care to have a “Day without Pain”. And to capture the imagination of potential donors and the public at large, the campaign was celebrated by building a giant 2,000 sq ft blanket fort at the TELUS Gardens in Downtown Vancouver. The campaign exceeded Canuck Place’s fundraising goals by 45%. The online campaign brought in $14,500 in donations, 20% of which were from new donors. $34,500 additional dollars were raised through direct mail and fundraising by school groups. Web traffic for Canuck Place doubled for the month of the campaign (over the same month of the previous year). Canuck Place was able to collect 200 new email addresses. Canuck Place won Best Donor Acquisition at the Non-Profit Innovation & Optimization Awards. Feedback from both attendees and media was incredibly positive and shed a new light on the way the public views Canuck Place. The success of this campaign was a direct result of engaging the staff in a creative way and enabling their talents through the Remarkables Lab process. The idea to create a giant blanket fort came from activities that children are already doing at Canuck Place, so bringing the public into this world that they could also relate to their own childhoods created some true engagement magic. Conferences can be a lot like summer camp. At conferences over the last decade, Darren and I have found community, made great friends and learned tough professional and life sessions. That's why we believe in creating spaces for learning, relationship building, risk taking and visionary thinking. We believe adults need summer camp, too. Organizing Northern Voice back in the day. We're fresh back from Web of Change Cortes Island. Web of Change has been a big part of our lives and is one of our favourite conferences. Darren has participated in seven events and co-organized the recent Cortes conference. I've been a participant and also spent the last two years as Managing Director of Web of Change, supporting and helping to build the community of leaders working at the intersection of technology and social change. Web of Change does a remarkable job fostering a deep sense of comradeship and mutual support. It's something we've worked hard to create at Capulet-run conferences, like Fireworks Factory and Northern Voice. Being in fellowship matters. It can help us be more open to new ideas and relationships. It can give us more confidence to play around with ideas, be creative and envision big goals. As kids, summer camp can be a truly transformative experience. We leave home as one person and we come back a different one. We can also find that feeling of excitement and possibility as adults if we find the right conferences. There are two conversations that happen at the climate talks. There are the on-site formal talks that happen in and around the negotiations. But there is also the global conversation about the COP that happens around the globe. Much of that conversation takes place on social media channels like Twitter. I would have made an excellent student at boarding school during my high school years. The idea of rowing teams, beds away from home and independence from my family appealed to the grown-up in my teenage, Anglophile heart. So, I was delighted when Capulet was invited to collaborate with one of Canada's top boarding schools, St. Michaels University School (SMUS), to help them attract more bright minds. The Best School Year Ever is a contest we helped SMUS devise, produce and promote to students in high schools across North America who want to win the chance to live and study on campus in Victoria, BC. The first grand prize is a full ride—room, board and tuition, worth about $50,000. There are also two runner-up prizes of a boarding scholarship worth $10,000 each. All three finalists win an all-expenses paid trip with their parents or guardians to visit the school. The contest ran for the first time in 2014 and SMUS is just about to wrap the third iteration of the contest, selecting a winner for the 2016/2017 school year. When we started the ideation process for a Remarkable for SMUS back in 2012, we were inspired by Tourism Queensland's marketing campaign to attract new visitors with the "The Best Job on Earth" contest. The contest subsequently expanded into a program called The Best Jobs in the World. You may remember that contestants were invited to submit a video demonstrating why they were the best choice for the role of an island and park ranger. Like the Tourism Queensland contest, students entering SMUS' Best School Year Ever contest were also required to make a short video. They also filled in an application form and uploaded a recent report card. And, like The Best Job in the World, the winner would write about their SMUS experiences on the school blog. Why a Remarkable for SMUS? 1. To innovate. After attending a Capulet workshop on building Remarkables, SMUS Marketing Director, Laura Authier, was ready to take the plunge. Adding a Remarkable to SMUS' marketing mix would be a way to reach more students and different kinds of students than the school was reaching with traditional marketing, such as print ads. 2. An updated approach. Running a video contest was a way to experiment with a more modern approach to marketing, including running campaigns on social media platforms, trying Facebook advertising and rolling out drip email campaigns alongside the contest. 3. Get people talking. An initial goal of the campaign was to create PR opportunities for the school with the contest. So, how'd the contest measure up against the goals? SMUS received contest videos from students in cities across North America—places the school had never reached before. Best School Year Ever became a kind of 'skunkworks' for the marketing department who've used the contest as a testing ground for social media marketing activities, online advertising and email campaigning. It provided a reason for the marketing team to innovate and learn. The contest didn't get a ton of media attention, though it did achieve some radio and print PR, though most of it was local in Victoria, BC. There were, of course, some unexpected outcomes too. The most interesting was that the contest, which was conceived of as purely a marketing campaign, became an effective lead generation activity. Students who submitted videos but didn’t win still opted to attend SMUS after going through the contest experience. Want to learn more about SMUS' takeaways running The Best School Year Ever? Check out Laura Authier's presentation on the project at the Beyond the Hype Conference in 2014. What if you could create a music video using drawings by thousands of fans? That's the idea that Capulet recommended to outdoor gear retailer Mountain Equipment Co-op (MEC), as part of our work on their multi-year conservation campaign, The Big Wild. Capulet brokered a partnership between MEC and Canadian singer-songwriter, Sarah Harmer, to launch a digital campaign called Drawn to the Wild. Canadians were invited to participate in the campaign by making artistic contributions to Harmer’s "I'm a Mountain" video. Members were asked to use web-based drawing tools to trace or enhance one of the thousands of frames that comprised the original music video. This campaign was designed to raise awareness for threatened Canadian landscapes. For every re-envisioned frame submitted on the website, Mountain Equipment Co-op donated funds for Protecting Escarpment Rural Land (PERL), Harmer’s environmental organization dedicated to protecting the Niagara Escarpment in southern Ontario. Drawn to the Wild was one of many campaigns and platforms we invented and developed for MEC over our five years of work with them. With Drawn to the Wild, we created something fresh and fun for the MEC audience, who are regularly contacted via email marketing, advertising and social media about environmental campaigns. Where did this idea come from? We're advocates of “distealing”--distilling an idea you stole. In this case, Drawn to the Wild was inspired by the remarkable Johnny Cash Project, which was way ahead of its time back in 2009. The world of marketing is full of the pretence of originality. When you're inspired by other projects, it's very important that you acknowledge those sources. We acknowledged the Johnny Cash Project on the project website and in MEC's communications about it. We worked with Agentic Digital Media, who designed and developed the microsite. They developed a user experience that was fun and straightforward to use. Importantly, it also enabled MEC staff to vet and organize submissions. Frames were added to the video on the fly so that participants could click play to watch the music video take shape right before their eyes. What lessons did we take away from this project? Don't assume too little of your customers or supporters. While drawing on a video frame was fun, it was much more complicated and time-consuming than entering an email address or tweeting a message of support. This was a 'high-friction ask.' The average visitors spent six minutes on their frame, so we created a how-to video to walk users through the process. Still, the average user of Drawn to the Wild actually submitted two frames, and two enthusiastic contributors drew over 50 frames each. Your celebrity partner's digital reach really matters. While Sarah Harmer is a household name in Canada, she wasn't particularly active online. While we were grateful for her assistance in promoting the campaign, her contributions didn't make much of a difference. We can contrast this with our work with Ian Somerhalder at the United Nations. His millions of social media followers were a powerful asset in telling the story of climate change innovators. Ask yourself, "what does the web love?" Deriving inspiration from something that’s already succeeded on the web reduces your risk and gives you a blueprint for success. I first discovered author Terry O'Reilly through his CBC radio program, "Under the Influence." I remember driving in my car learning about the intention that goes into selling high-end products and how retailers in the luxury goods business approach their brands. I was fascinated by the stories behind some of the planet's best-known luxury brands. I was also concerned I was becoming a marketing nerd. Who else is riveted by stories about Tiffany's and Club Med? Turns out I had simply stumbled across some of the best storytellers in the marketing world; storytellers who were reaching an audience well beyond their own professional arena. I was immediately turned on to the radio series based on the book by Terry O’Reilly and Mike Tennant titled "The Age of Persuasion: How Marketing Ate Our Culture." Even before opening The Age of Persuasion (four years after it was first published) I had heard about some of the case studies and examples featured in its pages, including Volkswagen’s “Lemon” print ad (as featured in Mad Men) and Coca Cola’s Santa super-success. O'Reilly and Tennant’s collection of experience, expertise and study culminated in this "bible" of North American marketing history. Each chapter opens with a myth that is countered by plenty of examples. Many of the case studies are widely used and known among marketers, so the content feels slightly dated in 2013. At the time the book was written, however, there was still a considerable online/offline dissonance. Still, the authors succeed in writing delightful, humorous chapters. Diving into a book all about marketing can be, for some, like cracking open the schematics to a truck engine. While its subject matter is niche, a larger audience is reached using humor. The Age or Persuasion presents a series of case studies and marketing examples that nearly anyone can appreciate. It deconstructs each example and often pokes fun at the relationship between the consumer/reader and the product/subject. The CBC has commissioned a third season of the "Under the Influence" radio series which, no doubt, will deliver examples of story, fallacy, trickery and many more strategies from the marketing world. The new season kicks off on CBC radio one in January 2014. I look forward to hearing O'Reilly's voice reminding me, once again, why we're living in The Age of Persuasion. *The Age of Persuasion was originally a podcast-turned-radio show based on the book that evolved into the new series, "Under the Influence." For the first half of 2013, Capulet has had a specific gathering on its mind. June marked the first Fireworks Factory, an intimate conference for smart, senior digital marketers hosted just off the coast of British Columbia, Canada. Participants gathered for three days and two nights to absorb, discuss and share their marketing work through a storytelling lens. Our goal and hope was that people left with a new professional community from which they could draw and a sense of nourishment from the food, setting, and music that was part of Fireworks Factory. Just over 40 participants joined us this year with a speaker line-up that included CBC Spark host, Nora Young, charity: water digital director, Paull Young, Lee Lefever of Common Craft, Rob Cottingham of Social Signal and singer-songwriter-storyteller John Mann. The agenda included keynote presentations, an "Epic Fail" session and case studies all threaded together by a storytelling theme. In among the Gulf Islands at the Galiano Inn and Driftwood Village, participants were active in tweeting and posting photos. We've captured some of that social media flotsam and jetsam in a Storify thread here. We've set the dates for our 2014 event. If you're interested in attending Fireworks Factory June 3 - 5, 2014, let us know. Explaining products, services and ideas is at the heart of marketing work. So, why are so many marketers poor at explanation? Since Capulet began in the early 2000's, we've worked with high-tech start-ups. A challenge in this kind of work is helping companies explain brand new, often complicated technology products to potential buyers. Too often, we get distracted writing about business benefits and product features before getting at the heart of what these tech products actually do. That's because explanation is hard. 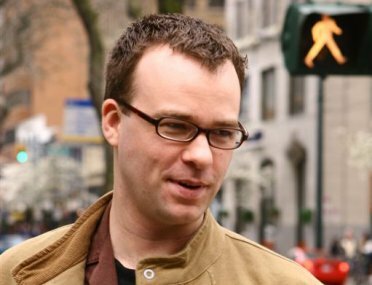 Lee LeFever is half of the duo behind Common Craft, the explanation company well known for animated videos that use paper cut-outs to explain complicated ideas. Some uber-popular videos you may have seen include "What is RSS" and "Copyright and Creative Commons". Common Craft videos have accumulated millions of views for a reason—they’re picture-perfect explanations of complex ideas. LeFever’s recent book, The Art of Explanation, is a how-to guide to making ideas, products and services easier to understand. The first thing you'll learn is the difference between explanations and the marketing jargon we often fall back on when we don't do the hard work of thinking of audience first and empathizing with them. The book guides the reader through the stages of planning, packaging and presenting successful explanations. It's peppered with real-world case studies and lessons learned that help bring LeFever's theories to life. I found the chapter on storytelling especially interesting. Using storytelling as a marketing tool is all the rage, but understanding how to implement it in professional communications is tricky. LeFever recommends which storytelling elements work best in explanations, such as introducing characters your audience can care about. He also thoughtfully points out situations where storytelling doesn't work very well. Another tip I love is to make connections between something the audience already understands and your product or service. LeFever uses a great story to illustrate this point. How did the filmmaking team of Dan O'Bannon and Ron Shusset pitch their Oscar winning movie, Alien? With three simple words: "Jaws in Space." A solid example of this concept in practice is the description of Instagram—it’s Twitter for photos, of course. Whether you're new to explanation or are looking for better ways to educate students, colleagues and customers this book delivers solid takeaways. If customers understand what our products and services do, they'll be primed and far more receptive to the rest of our marketing messages. You can find The Art of Explanation on Amazon. Over the years, Darren has spoken at several events hosted by the Canadian Public Relations Society (CPRS). These speaking gigs often cover the work Capulet does in online marketing from its early days working in the software industry to Darren and Julie's current work with non-profit organizations. In May, 2012, CPRS featured Darren in their "Essentials" newsletter profile. In the article, Darren talks about becoming "a big Apple fanboy", what intrigues him about crowd funding, what it's like working in the south of France, and an upcoming white paper Capulet is releasing with some pretty interesting data. Photo courtesy Jon S, flickr user. Sharing your customers' success stories with the press can be a great way to highlight your work and to help bring attention to your customers. However, getting customers to participate in joint PR isn't always easy. Here are some of the ways we prepare business PR stories and get customers excited about coming along for the ride. Select winning stories to share with the press to improve chances of success. If your story is weak, or even mediocre, sit tight until you've got a winner. That way your customer isn't disappointed, and you don't overwork your press contacts. If your customer is keen to participate, clearly articulate expectations and deadlines early on. Don't get stalled waiting on an indecisive partner. If you need customer feedback, prepare content in advance for quick and easy approval. If your customer has their own PR team, get to know them and the kinds of stories they're trying to tell and who they're trying to reach. Develop story ideas that align with their internal goals and you'll find they're keen to work with you. Show customers examples of successful PR. This is tough if you're just starting out so, instead, point to examples from other companies of what you're trying to achieve. An easy way to ensure that customer success stories are at your fingertips to pitch to press is to build that activity into contracts. That way, your customers are prepared for PR right out of the gate. Now, you're ready to start pitching customer stories. Here are a few examples of the kinds of customer success stories Capulet has helped to land: A Technology Switch Bears Mobile Commerce Fruit; Deepening Engagement, One Drawing at a Time; and Open Sourcing May be Worth the Risk.